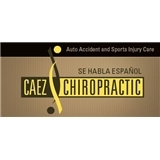 Caez Chiropractic (Tampa) - Book Appointment Online! Tampa chiropractor, Dr. Brian Caez has treated patients with sports injuries, car accident injuries as well as those with back, neck, sciatic nerve and extremity pain. After an initial evaluation, he will tailor a chiropractic plan for each patient to meet their individual health and wellness goals. His caring approach creates a level of comfort within his patients as they undergo chiropractic treatment and therapies for injury recovery, pain relief or for patients looking to increase their physical mobility and overall health. Chiropractic care at Caez Chiropractic helps you to live the best life you can, free from pain and injury.